BangShift Question Of The Day: How Would You Change The New Truck Game? 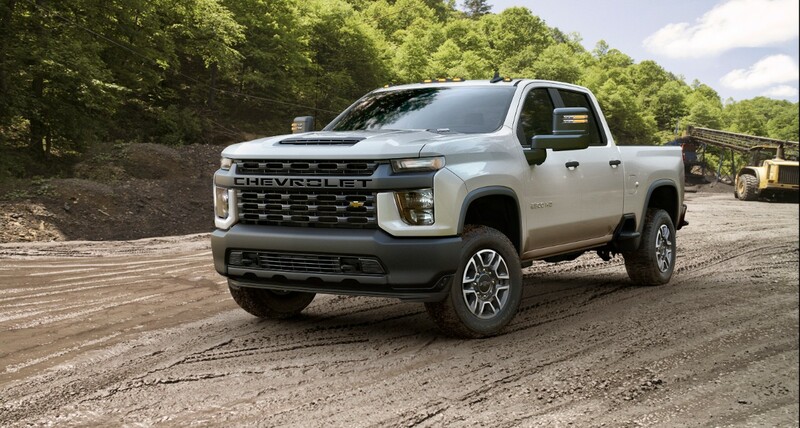 While there will be plenty to say about GM and their focus groups (and the bad results that come out of them every now and then) what needs to be addressed on the whole is the truck market in general. The workhorses are also playtoys. The basic rig has now kicked the crap out of the sedan, the minivan and only begrudgingly shares driveways with sport-utility vehicles. This worship of trucks is almost ridiculous anymore…you need to have the most torque, the highest payload, and need to be able to tow around your own personal fuel station without thinking twice. Tell me how nearly three million people in 2017 can argue about how they need the top-tier J2807 towing ability for their around-town duties, or how a $90,000 truck that can’t haul a 53-foot trailer behind it is useful to anything except ego? Trucks get bigger and gaudier every few years and have done so since about the year 2000. The new Ford Ranger is selling so well that Ford is adding additional shifts to meet demand. FCA is considering jumping into the midsize market themselves. The work truck is now the “fleet sales” truck. The top models look like Cadillacs, Lincolns and Imperials inside. The mid-size truck compares to a full-size from a couple of decades ago in sales. So, where would you start making changes if you were in charge for a day? The Lost Bet: The Dangers Of Project Creep And The Most Horrific Timing Belt Change We Know Of Blank Slate: This 1976 Crown Supercoach Needs To Be RV Converted! All it’s going to take is one of the after market companies changing up the grill, a 6” lift, wheels and tires and everyone will rave how amazing and edgy it looks. Remember this 6 months from now when Chevy is smashing sales records with this “hideous” design. Yea… right. Ugly is ugly and that truck had ugly in spades! It will NEVER be popular. I’ll be back here in 6 months and I will post sales figures that I guarantee you will not like. The F150 and the Ram will eat this pig’s lunch! Did the man say himself, “Over the top”? How would I change the game? 1st…fix the front end of the Chevy…YUCK!!!!! Then, I would bring back the, stripped down, basic, two door, standard cab. Go to a dealership…the chance they have one, is slim to none. The closest, that I found recently, was at a Nissan Dealership…the Titan full sized truck. It\’s not about making trucks that people need, it\’s about corporate greed. Take the highest profit margin vehicles the big 3 produce, then overate the capabilities to a category where they can exploit the lack of federal regulations compared to lighter pickups and heavier air brakes trucks. Then in GM\’s case take in 8.1billion in profits last year so you can fire 8000 salaried and 6000 hourly workers. If you like these trucks better get one soon because under liberal Mary Barra\’s plan they will be replaced by autonomous vehicles and ride sharing. Too much Money!!! Too big! Overcontented! We can’t fix it because consumers are too stupid as a whole to affect change. 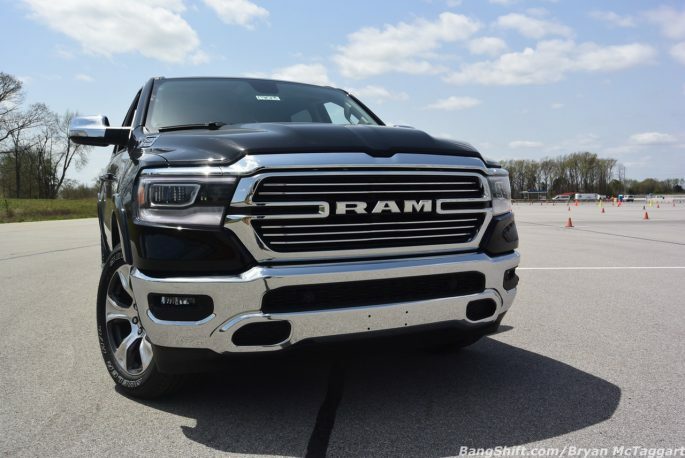 The last 15 years of trucks are lease friendly, ugly, bloated, terrific drivetrain machines that have the interiors of luxury cars, are overpriced and look like transformers. I can’t be the only guy on here that would love a shortbox fleetside p/u with zero bells and whistles but I can’t change things on my own, I sent a letter to one of the Detroit big three customer relations emails a couple of years ago asking why they didn’t build a stripper 4 cyl std small truck and the answer was surprising because of the honesty, and it read why would they build a vehicle along those lines when the bigger full load more expensive trucks were flying off their lots? Until car/truck people as a whole say we’ve had enough of Detroit ugly there won’t be a change, park a 2006 GMC shortbox next to that monstrosity in the picture above and it would lead to real car guys puking. And yet, that ugly p.o.s. will be littering the highways riding the back bumpers of small cars, leaning on the left hand side of the road so the lights drill you right in the rearview and driver’s side mirror as they try to force you to move over because hey! Can’t you see I’m in a 60K pickup that I’ve leased and you’re in my way? I’m way too old to be a car guy now, the industry and the curbers have ruined the fun in this. One recession will fix it, and this time the government will not be there to bail these companies out. Well, if that was the best ranked design, I would hate to see the lesser ones. It reminds me of the older HD cube vans & Top Kicks. GM just added a piece to the front end grille to accommodate big tires & suspension. Get rid of the bar that says Chevrolet and it would be fine. 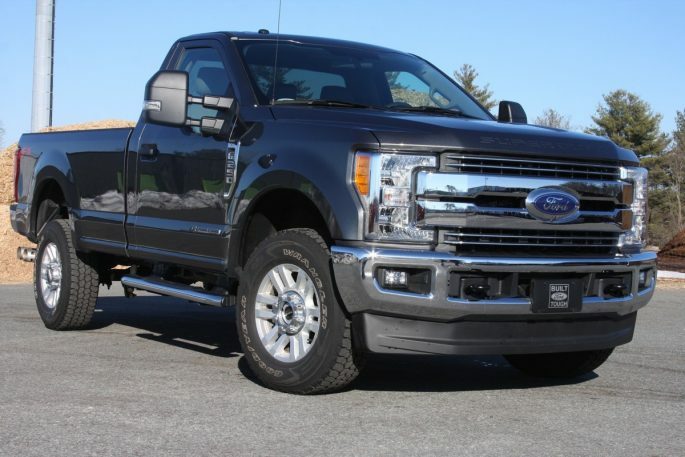 It’s tough to beat the looks of the F-250. Best looking truck Ford has built yet. And yes, I do own a 1 ton Chevy truck. I can’t wait for gas to spike up to $5-6/gal again. These trucks will be up for pennies on the dollar. And the economy will crash and we’ll be in a full fledged depression. And you’ll be just as broke and homeless and hungry as the rest of us. They are all too big. A full size truck should be the same size today as a full size truck from the 70’s and 80’s. If they were that size with today’s tech t b ey will perform better and get better economy. Tonka built better looking trucks! That Chevy will have to sneak up on the air pump to fill it’s tires! 1. Fire everyone involved in any way with the new Silverado’s design. 3. Build a new C10 that has retro modern styling (67ish) and is the size/weight of the last C10s. Beaver Martin ,I am with you on this all the way. Coming from someone who has bought 15 chev trucks I’m done. Designed to look like a Lego truck, bed rails are too high to lean into the bed, and not built in the U S A. GM your focus groups are not focused. You may have gotten your wish. Last week GM walked out 4300 salaried workers, in addition to the ones they bribed into early retirement at the end of last year. The guilty ones may be gone, but since the CEO and president are still there I doubt the ones ultimately responsible (them) are gone. Hate to see anyone lose their jobs, but I don\’t disagree with you. I hate to see Americans lose jobs, but I agree that the ship is gonna sink (again) if they continuously churn out crap. I get it that they want to be edgy, but this one is hideous. I predict a hasty re-design ala’ Cherokee. The Titan XD is looking real good right about now. I’m moving back to the mainland this summer and am looking at getting a truck. My jaw dropped when I used Ram’s build it tool on a base, crew cab, 1500 4×4 V8 = $45.000. The Buick Roadmaster Estate I had could pull 7K, and fit a sheet of plywood. At this point I’m gonna have to stop dragging home POS projects because I can’t afford a tow rig. Already mentioned but cannot be overstated is the size of the current crop of trucks, but more importantly the height of the trucks. The height of the beds has made the beds unusable without having to crawl in the bed to access anything in the beds. I am 6-2 and have owned and been around a lot of trucks in my 45 years; I enjoy my 2015 Silverado but you sure can’t put anything in the bed unless you put it at the tailgate to access it, and hope it doesn’t move around if you don’t have the means to tie it down. It wasn’t so long ago that you could get a truck from any of the big three in any 1/2, 3/4, or 1-ton iteration and they cargo space be not only usable but highly accessible. I chalk up this batch of lifted trucks we now have to a desire to traverse a boulder in a comparison test that 99.999% of truck owners will never deal with; there’s a host of 55-and-older truck buyers (read AFFLUENT) who might buy a truck and a fifth wheel setup but because of the hassle of the height of current trucks go ahead and spring for a self-contained RV. Recently purchased a used 2010 Silverado K1500, Regular Cab short bed. what’s available when the 2010 gets too rusty to plow my NH driveway any more. Bring back crank windows, wing windows, drip rails, steering columns that tilt instead of drop and tailgates that are made out of 14 gauge with beds that have no plastic on top of them. Throw in kingpin solid axles to boot and lose 500 lb of interior.